Madison College’s Kaitlyn Kast, right, drives past a Joliet defender during a win at home on Jan. 28. A look back at the last few weeks for the Madison College women’s basketball team provides an accurate reflection of the season to date. The team has had several large-margin wins and a few close losses. 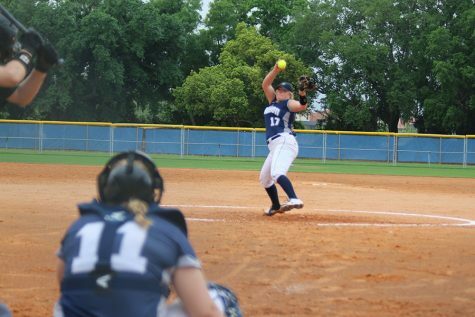 Madison College won six of its last seven games, outscoring its opponents by more than 20 points in each of the wins. The lone loss was a two-point game against conference rival Milwaukee Area Technical College. Included in the six victories is a game in which the WolfPack scored 112 points, the team’s third 100-point game of the season. 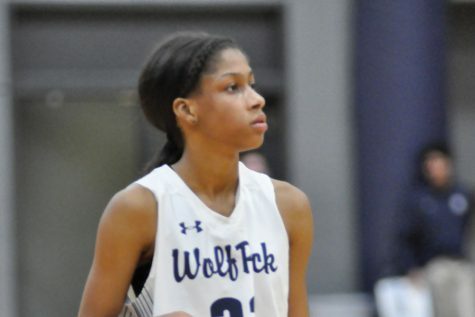 Leading the way for the WolfPack have been freshmen guards Taylor Nelson and Jenna Endres, both of whom scored in double figures in most of the last seven games. Nelson leads the team in scoring with 16.4 points per game and is second in rebounding with 117 rebounds this season. Endres is second in scoring with 12.1 points a game. The team now stands at 15-5 overall and 6-2 in conference play. Madison College’s schedule over the next two weeks give the WolfPack a chance to avenge its two most recent losses. The team plays at Rock Valley College on Feb. 7 and hosts Milwaukee Area Technical College on Feb. 14. 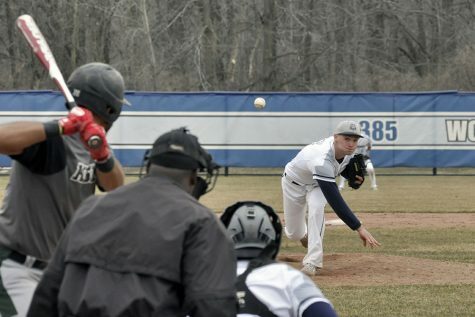 Madison College’s next game is at the College of DuPage on Feb. 4. The WolfPack limited its opponent to just 11 points as they raced out to a 43-11 halftime lead. Nelson led the WolfPack with 16 points, five assists and four steals. Megan Petty added 13 points and nine rebounds, while Kelly Calhoun scored 11 points and had eight assists. After jumping out to a 33-19 halftime lead, Madison College continued to pull away for a 69-42 victory over Harper College on Jan. 28. Endres led the team with 16 points. Nelson added 10 points and 11 rebounds, while Lizzy Britt scored 8 points and had 10 rebounds. Sydney Harms and Addison Hemming both had double-doubles as Madison College rolled to a 75-53 victory over Fox Valley Technical College on Jan. 26. Harms scored 13 points and had 13 rebounds, while Hemming added 12 points and 11 rebounds. Nelson and Endres had their usual strong games, scoring 14 and 11 points respectively. The WolfPack had six blocked shots in the game, two each by Nelson, Britt and Harms. 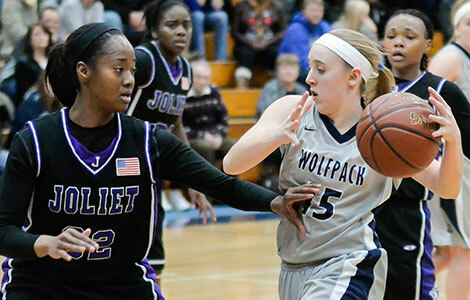 Three players scored in double figures as the WolfPack posted a 75-53 victory over Joliet Junior College on Jan. 24. Nelson scored 22 points, Endres had 16 points and Calhoun added 15 points. Despite having four players score in double figures, Madison College lost a tough game to Milwaukee Area Technical College, 73-71, on Jan. 21. Milwaukee out-rebounded Madison College, 61-49, and make just enough of its 42 free throw attempts to hold off a late WolfPack surge. Calhoun led Madison College with 17 points, while Endres scored 13 points and Nelson and Kast both had 10 points. Five players scored in double figures as Madison College posted its highest point total of the season in a 112-58 victory over Triton College on Jan. 17. Calhoun and Endres both scored 25 points. Nelson netted 19 points, Harms added 13 and Kaitlyn Kast scored 10.